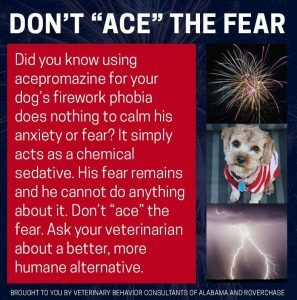 Yesterday I shared a Facebook post from and Veterinary Behavior Consultants of Alabama and Roverchase addressing the use of the sedative Acepromazine for treating firework, thunderstorm and noise phobias in dogs. The graphic from Facebook explains that “Ace” does not really resolve the dog’s anxiety and suggest you ask your veterinarian for a better, more humane alternative. 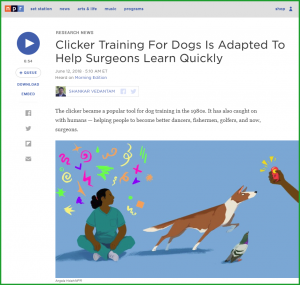 In this YouTube video [ https://www.youtube.com/watch?reload=9&v=6-GsmrFYHKk ] Dr. Karen Overall, a veterinary behaviorist, discusses Acepromazine in a presentation for the American Veterinary Society of Animal Behavior (AVSAB). 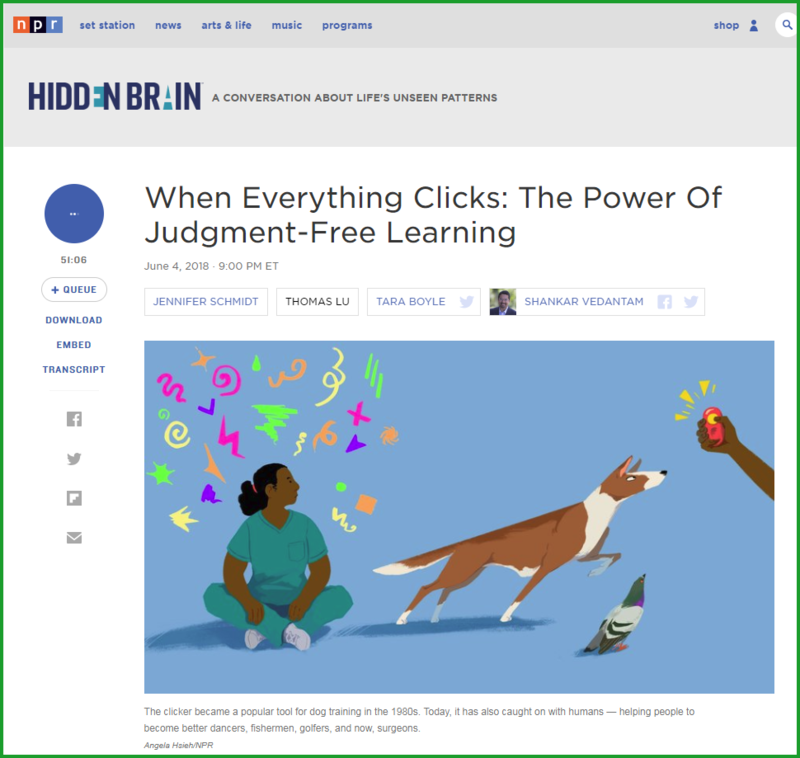 She explains why Acepromazine is not good pharmacological support for thunderstorms or noise phobias and indicates that it actually can increase noise sensitivity. 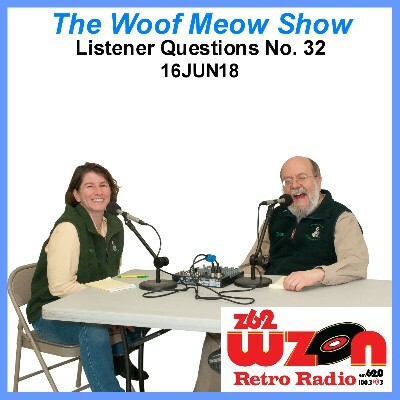 In this episode of The Woof Meow Show from June 23, 2018 Kate and Don interview Julianna Carella, CEO and Founder of Treatibles and Auntie Dolores. We discuss the use of hemp-derived phytocannabinoid nutraceuticals and their ability to offer dogs relief from anxiety, arthritis, pain, inflammation, seizures, nausea, motion sickness and even their ability to help those with cancer. We discuss the science behind these products, their safety, and what one should look for when selecting a Phytocannabinoid Nutraceutical for their pet. 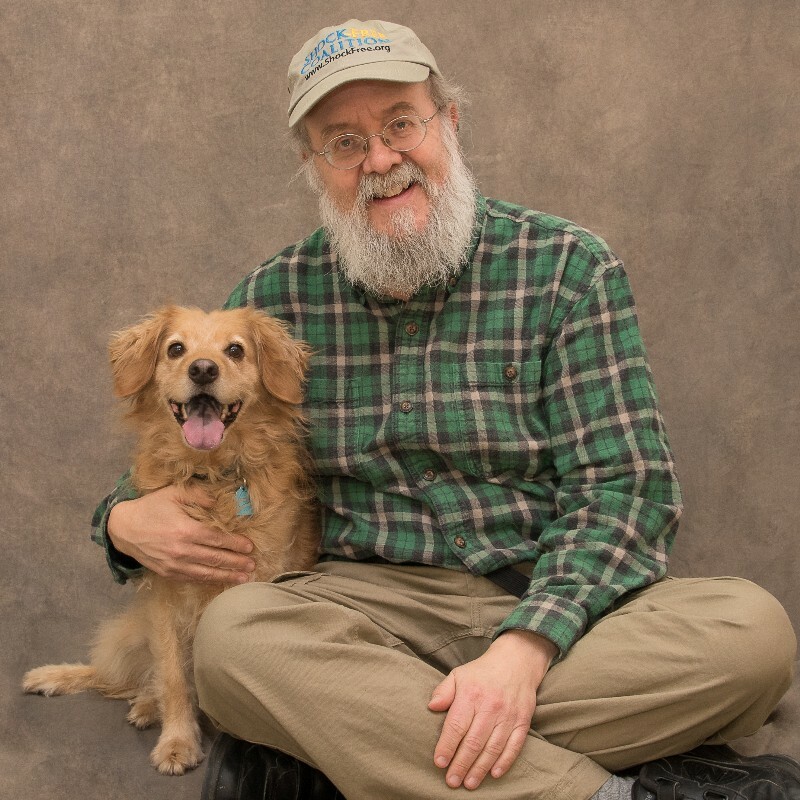 What are the most important things to teach my dog? Can my kids be involved in training our new dog? Will all cats do well being indoor-only cats? What are the best ways to bond with a new cat? 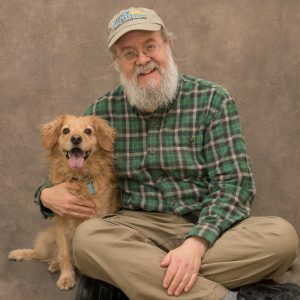 What is the best way to get a dog used to being bathed and how often should I bathe my dog? My dog hates having their nails trimmed? What can I do? 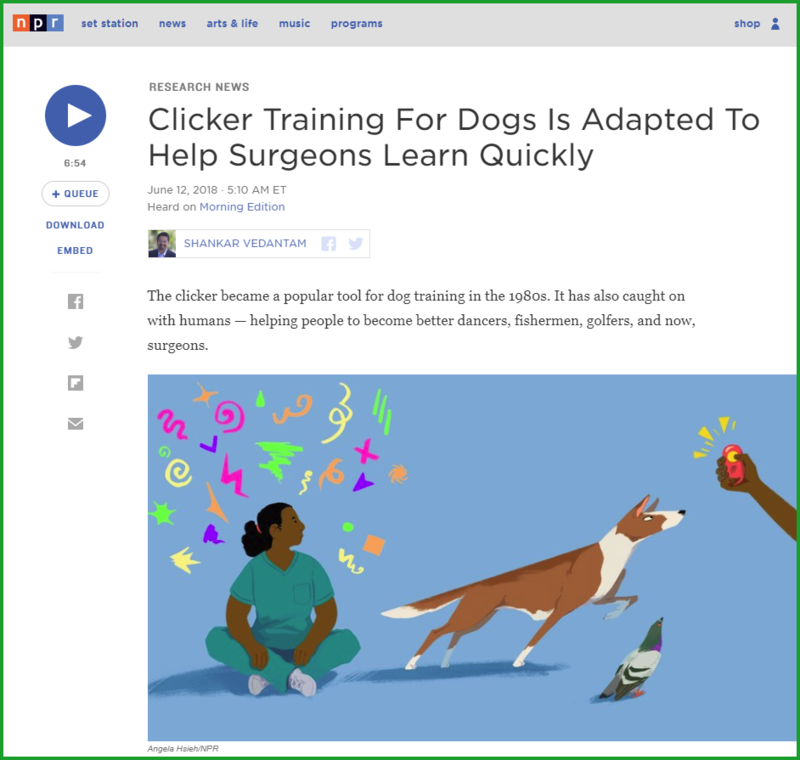 Clicker Training For Dogs Is Adapted To Help Surgeons Learn Quickly – broadcast on NPR on June 12th, this podcast discusses how clicker training is being used to help surgeons improve their skills.